Regan’s rescuer posted the video in part to showcase the sweet pup’s nature. It worked. Regan has since been placed with a couple who’s grateful to have her. 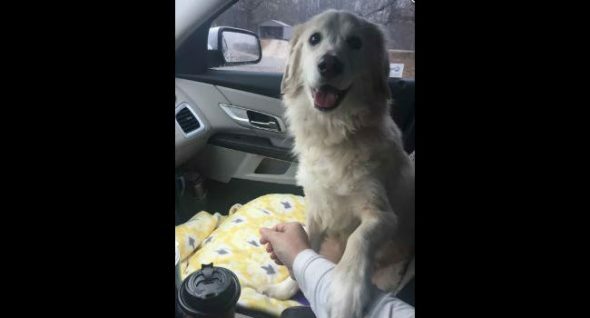 Regan, confused after her owner died and she ended up in the shelter, held her rescuer’s hand on their 2.5-hour freedom ride. Regan, 4, was frightened and confused when she landed in a Lebanon, TN, shelter after her owner passed away. And so when Kim Mowena Rezac came to her aid, liberating her from the frenetic atmosphere, Regan seemed exeedingly grateful. Watch the video below as the two make their getaway with Styx playing in the background. 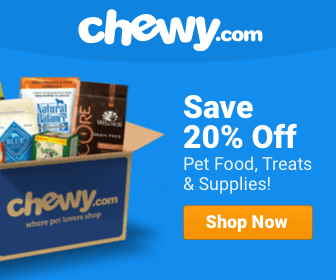 Rezac is the founder of Goofy Foot Dog Rescue and director of animal welfare for Animal Rescue Corps. She spent three days earning Regan’s trust. Regan held Rezac’s hand in the car during the entire, 2.5-hour drive to Huntingdon, TN. She shot the video not only because she was moved by the experience, but to put Regan in front of potential adopters. It worked like a charm. A million+ views later, Regan had numerous inquiries. “It’s a wonderful situation,” Rezac said. She does hope, though, that people remember to put a plan in place so their pets don’t end up in Regan’s situation. The dog’s owner was only in her early 50s. “I’m sure she thought she had much more time left. But none of us really know,” she said.